The aisles at Target are perfectly lined and color coded with school supplies and the sweet aroma of fresh crayons is filling the air! 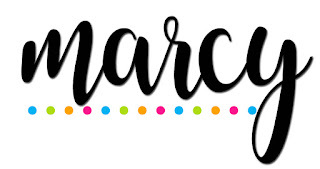 The time is near my teacher friends, so enjoy that last margarita and take one more stroll on the beach, our pre-season is officially knocking on the door. As much as we would love to fight it, back to school season is officially here! If you are like me and start back in August you are probably thinking wait we just left for summer break. Not wanting my summer vacay to end quite so soon I'm thinking smarter not harder this back to school season. 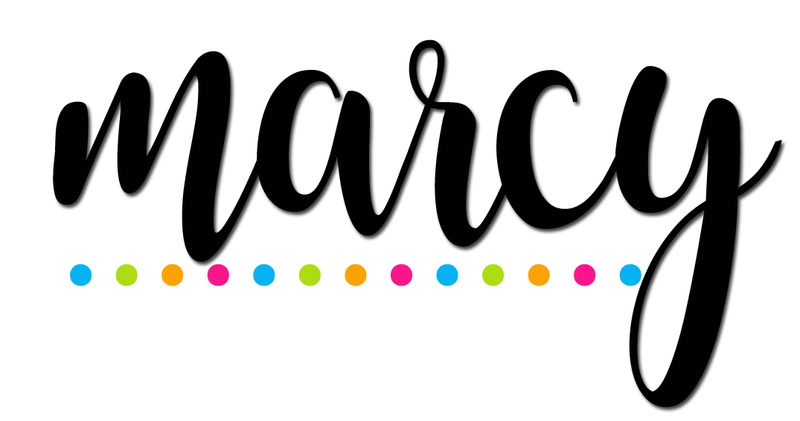 I know we all love decorating our rooms and getting everything all organized and set up, half of us have been ear marking catalog pages and adding items to our amazon carts for weeks. If you are like me I sometimes get so focused on getting everything ready for those first few days that I forget about our open house night just a week or so after school starts. So I decided to spend some time this summer creating a simple easy to use power point that can be easily edited and changed from year to year. I have created some custom headers that might be useful and also included some blank slides so you can create your own headers if needed. 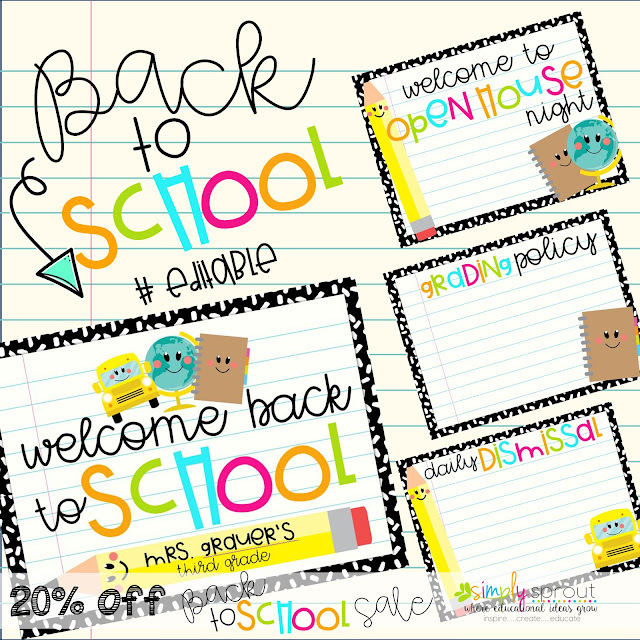 Wow your parents on back to school night with a fun colorful presentation that you can create in no time at all. 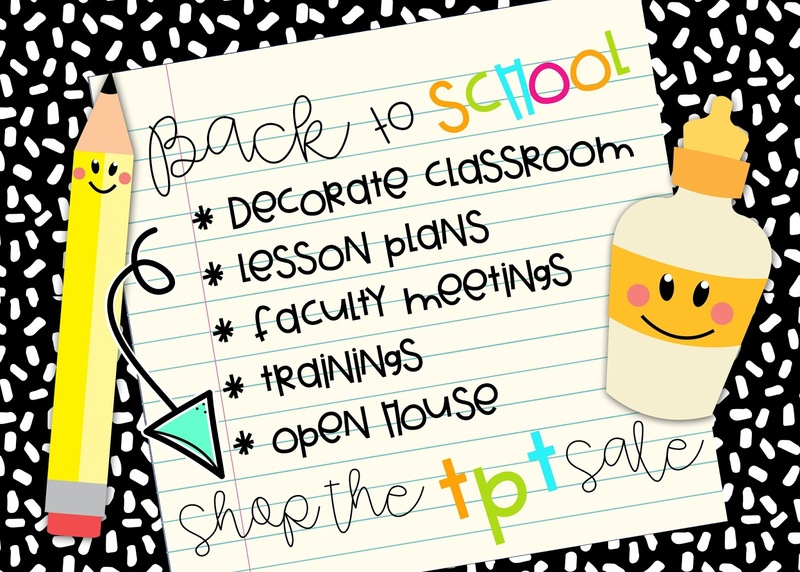 Be sure to check out all of my back to school resources over at TPT, catch them now while they are on sale. Here are a couple of my faves!